Is it a bird? Is it a plane? No, it’s Yves Rossy. 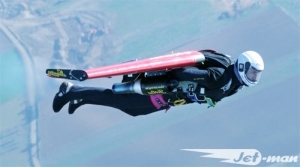 This is one of the most incredible things I’ve ever seen, Yves Rossy is the jet powered flying man. This must have been one of the most fantastic experiences ever. You can watch the video and read more about Yves exploits…amazing.